Our Real Estate Mobile Applications help sales team perform Lead Management, CRM and Sales Management functionaities on the go from anywhere anytime. Our mobile phone applications can also help real estate buyers with home prices, real estate search, property listings, and finding open houses. 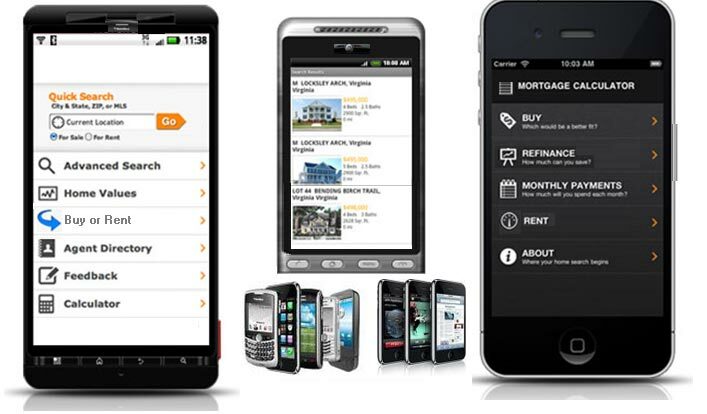 We provide real estate mobile applictaions that can assist with search but our mobile applications for real estate go beyond search. These applications can help buyers categorize open houses they visit, jot down notes on a house they're viewing and take photos, which can be uploaded through the app to Facebook.